THE Nelson Mandela Bay Business Chamber yesterday added a fourth Diamond Arrow Award to the organisation’s trophy cabinet when it was honoured during the PMR.africa Business Leaders Function at Running Waters. The purpose of the PMR.africa Eastern Cape Provincial Survey is to celebrate excellence in companies and institutions and set a benchmark in the province. This year, the Nelson Mandela Bay Business Chamber was specifically recognised with a Diamond Arrow as an institution doing the most towards Economic Growth and Development in the Eastern Cape. 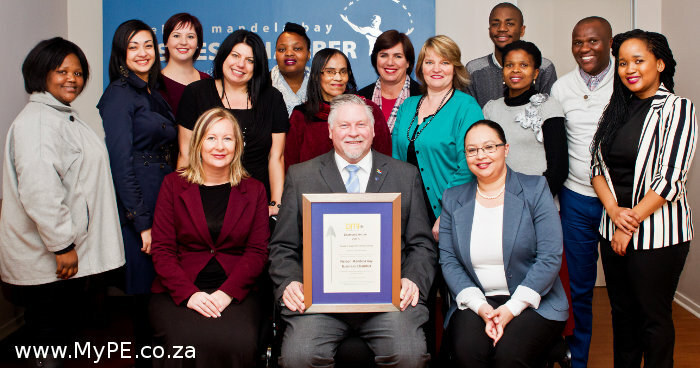 In 2013, 2014 and 2015 the Nelson Mandela Bay Business Chamber was recognised with the same accolade. Nelson Mandela Bay Business Chamber Chief Executive Kevin Hustler said, “We would also like to commend all our members who today received awards for the top quality services and goods they offer in our region. It is evidence of the outstanding world-class businesses operating in our shores”. A Diamond Arrow means a company or organization is ranked first overall in the province in its nominated category. The awards are the end result of a survey whereby CEOs, MDs, business owners, company directors, managers and senior local and provincial government officials rate nominees against specific attributes or criteria.